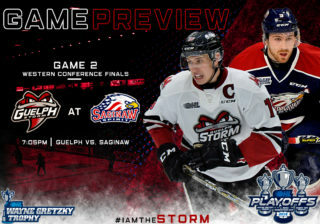 The Guelph Storm will cap off a busy Thanksgiving weekend when they travel Highway Seven to face their divisional rival, The Kitchener Rangers. 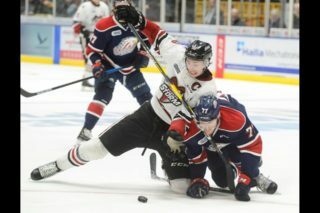 The Highway Seven rivalry will kick-off on Monday when the Guelph Storm (3-3-0-0) travel to Kitchener to battle the Rangers (3-1-0-1). The Thanksgiving clash will be game one of their eight-game season series. The Storm lost another heartbreaker in Hamilton on Saturday night, falling 5-4 to the Bulldogs, and they will have another tough matchup versus the Rangers, who sit third in the league in goals scored. The Rangers will be looking to rebound themselves, after losing back-to-back games to start the weekend. Falling 6-5 to Sarnia in the shootout, and 6-3 to Barrie. Despite the loss Saturday night, it was a big game for veteran forward, James McEwan. Finding the back of the net twice, you get the feeling that the Chatham native is heating up. 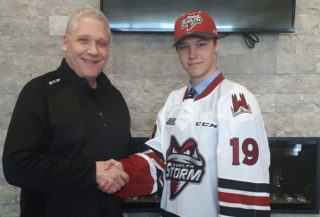 Producing at a point-per-game clip, McEwan, has been an offensive force, averaging just over four shots-per-game, and will look to help lift the Storm over the Rangers. Givani Smith added his second point of the young season on Saturday night. 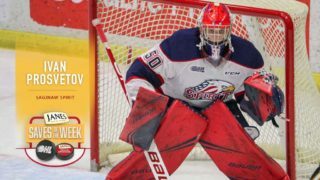 The Red Wings prospect is a cornerstone of the Storm offense and has found the score sheet in his first two road games of the season. Smith has excelled in the Highway Seven rivalry registering two three-point games last year, he’ll look to break out in Monday’s game. On the blue line, Garrett McFadden had a big night on Saturday, earning his first multi-point game of the season versus the Bulldogs. The playmaking defender has continued to improve his game in all facets and is currently on pace to eclipse his point totals set last season. The Rangers leading scorer heading into Monday’s game is Ottawa native Greg Meireles. 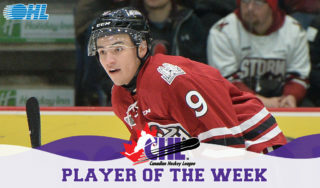 His four-game point streak was snapped on Saturday versus Barrie, but Meireles has been impressive registering two goals and six assists for eight points, already surpassing his totals from his seven games played last year. The Rangers offence has great depth, which is highlighted in the fact that their leading scorer is rookie Meireles who is followed by overage forward Darby Llewellyn. The Ann Arbor, Michigan native has two goals and five assists for seven points in four games. With already three multi-point games this season, the Storm will have to be careful when Llewellyn has the puck. Rounding out the list for the Rangers is sophomore defender Elijah Roberts. Recently featured on the NHL Central Scouting Players to Watch list, Roberts had an electric start to the season racking up three points in his first two games. Roberts has been held off the scoresheet in his last three games and will be looking to get back on it versus Guelph. 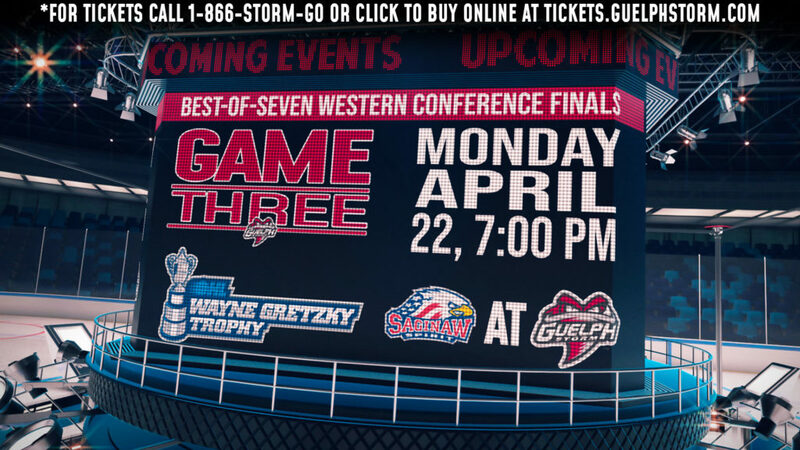 The Storm are next in action on Wednesday when they visit Mississauga to take on the Steelheads.